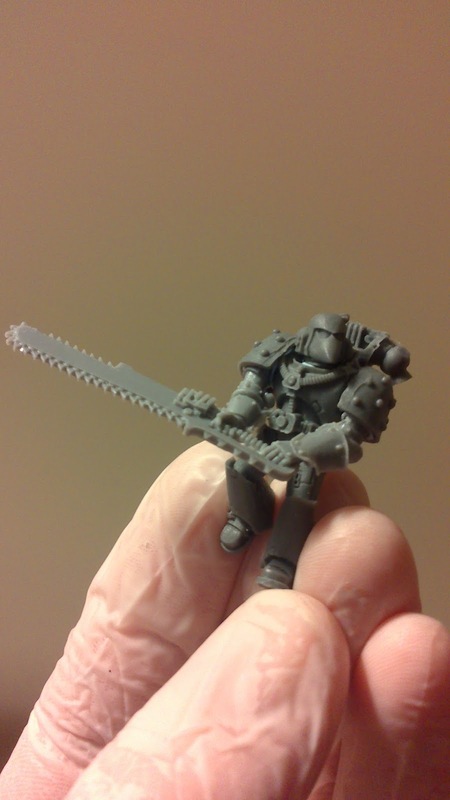 The friendly folks at Yaktribe are having their first competition; model and/or paint a 'hired sword' - one of those special fellows you can add to your gangs in Mordheim or Necromunda to give them a bit of bite earlier in a campaign, in exchange for a fee between games. 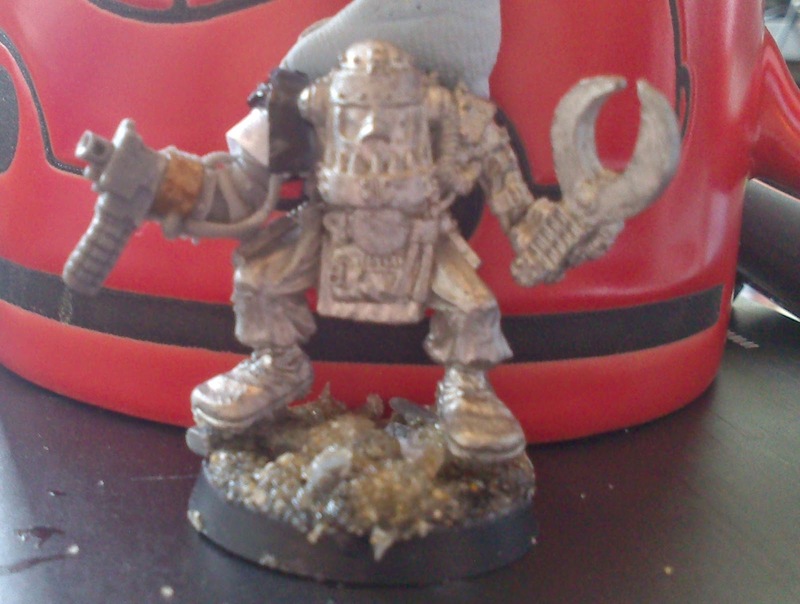 As most of my modelling stuff is in another country at the moment I had to think outside the box, and the Cybork fellow reminded me a bit of the ABC warrior in Stallone's Judge Dredd film. 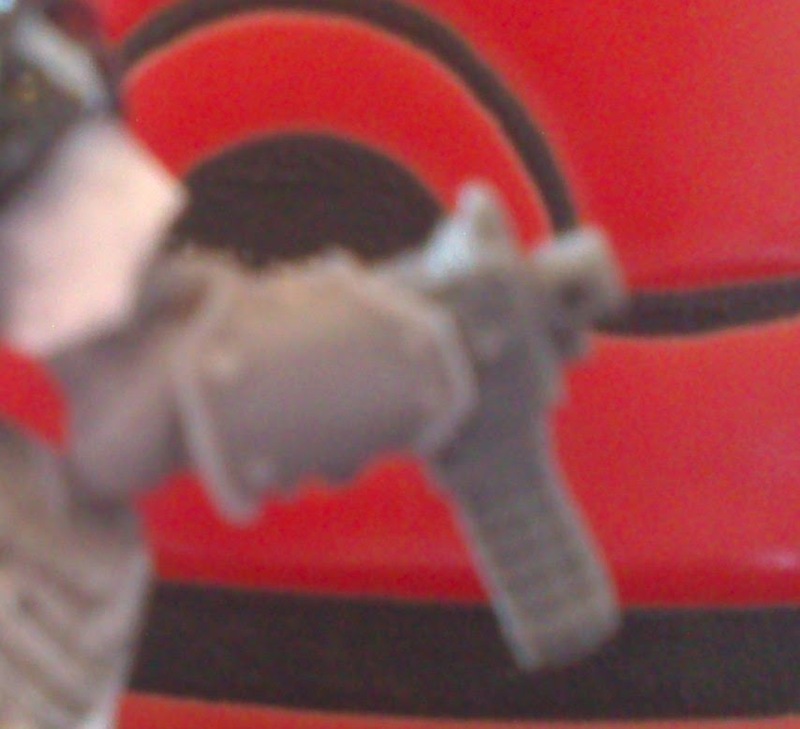 A new fancy resin arm and some finagling later and he has a counts-as autopistol. Don't ask how he wipes. 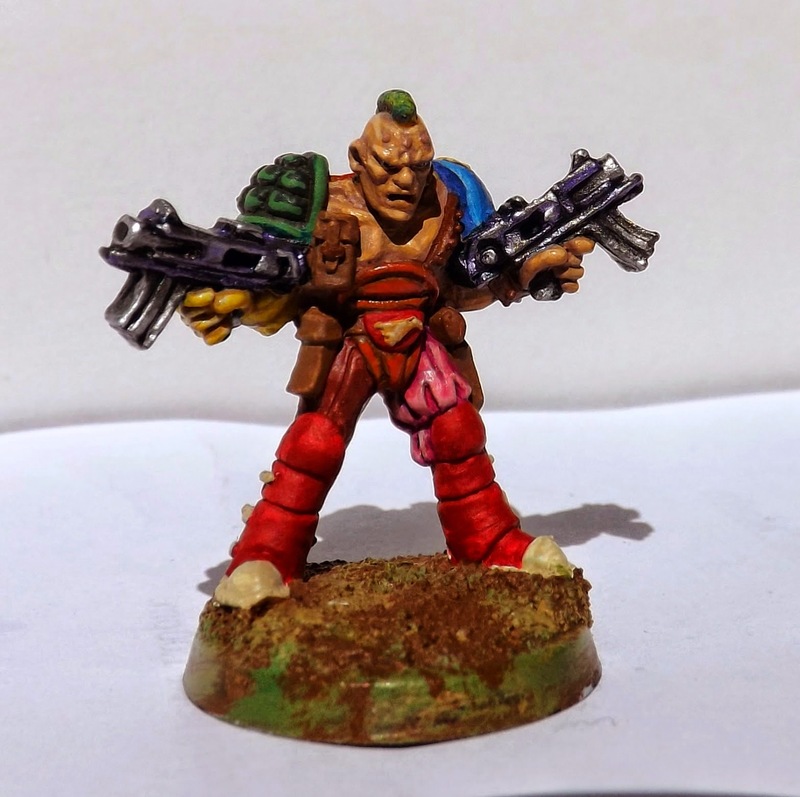 In my head I have a half-baked story involving this guy (who I would have entered into the competition had I not already painted him -he suits the role of a Scummer perfectly). I imagine him uncovering the conspicuously proportioned cyborg while exploring a forbidden zone for the exotic, an highly outlawed fungi that grows there. Fortunately, he can be deactivated with a remote device ...for now. 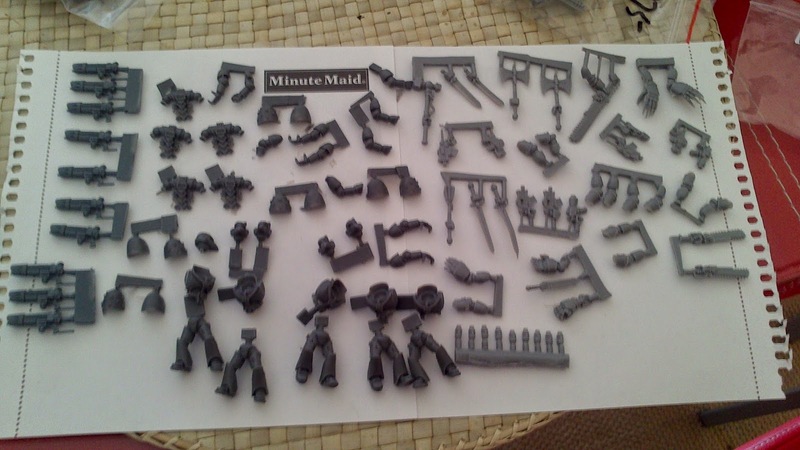 My order arrived at last. 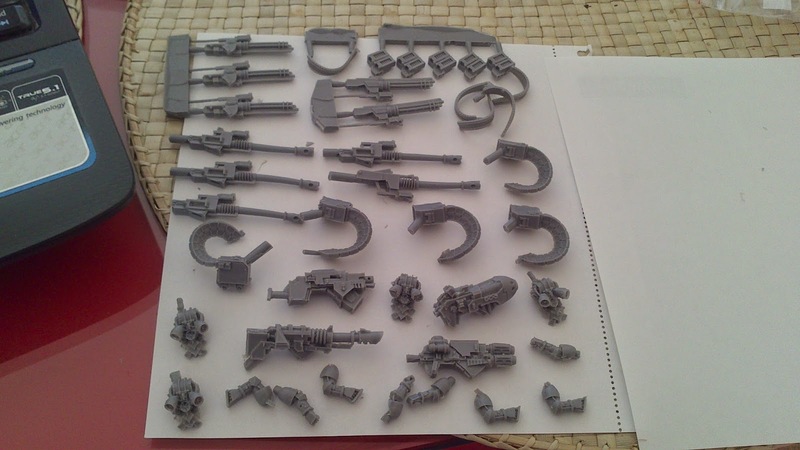 Originally I was thinking about 10 Havocs with autocannons, but a lot of these pieces look very tempting to attach and paint up. 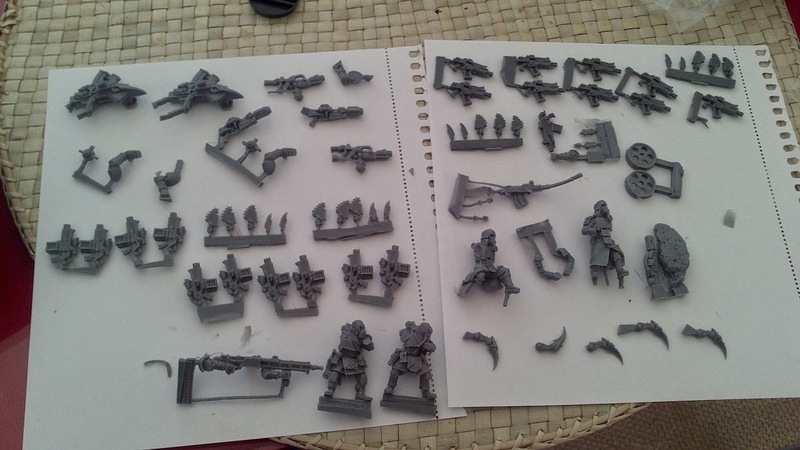 Lastly, some kriegers and Traitor Guard to act as cultists with autocannons.